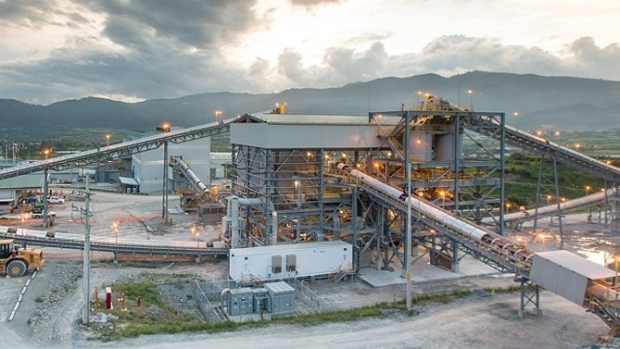 VANCOUVER -- Tahoe Resources Inc. (THO.TO) says it has cut 250 jobs at its Escobal silver mine in Guatemala as a legal battle to reopen the mine drags on. The company says it was forced to suspend operations at the mine last July after the Supreme Court of Guatemala issued a provisional decision that the country's ministry of mines did not properly consult with the Xinca Indigenous people before granting the Escobal licence. Tahoe says the Guatemalan Constitutional Court heard an appeal of that ruling on Oct. 25, but has not made its own ruling despite being required to do so within five days of the public hearing. With the company unable to resume operations, Tahoe says it has cut about a quarter of the 1,030 people employed by its local subsidiary Minera San Rafael and may need to make further cuts. Tahoe has long had a tumultuous relationship with some locals around the Escobal mine, including a group who set up a road block last June to protest mine impacts. The company also faces a lawsuit in Canada filed by protesters allegedly shot in 2013 by security guards outside the mine with rubber bullets as they voiced their opposition to the mine's environmental impacts and the lack of Indigenous consultations.